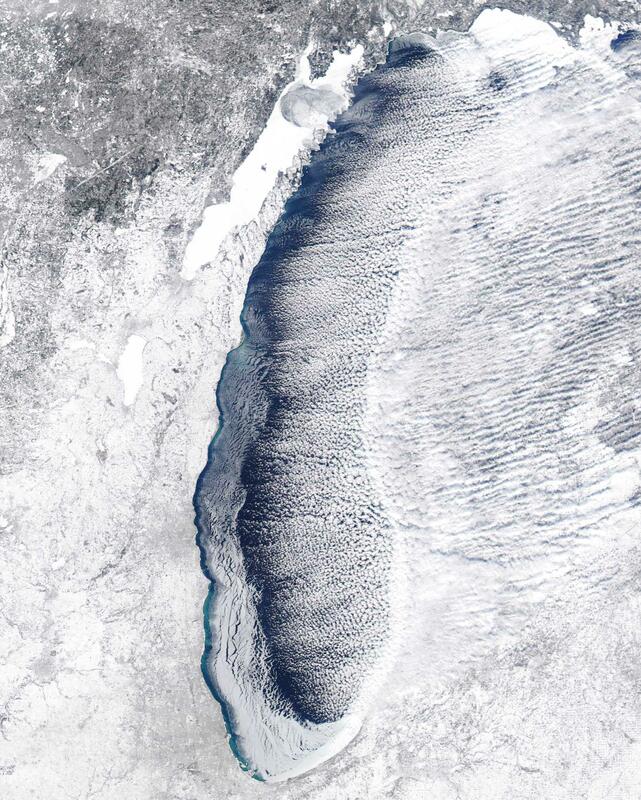 Grand Traverse Bay is now mostly frozen along with almost half of Lake Michigan. Mark Gill at the U.S. Coast Guard says ice reaches from Traverse City to the Straits of Mackinac. The bay used to freeze every eight or nine years out of 10 until the 1990s when it dropped off sharply. Grand Traverse Bay has not frozen completely since 2009. 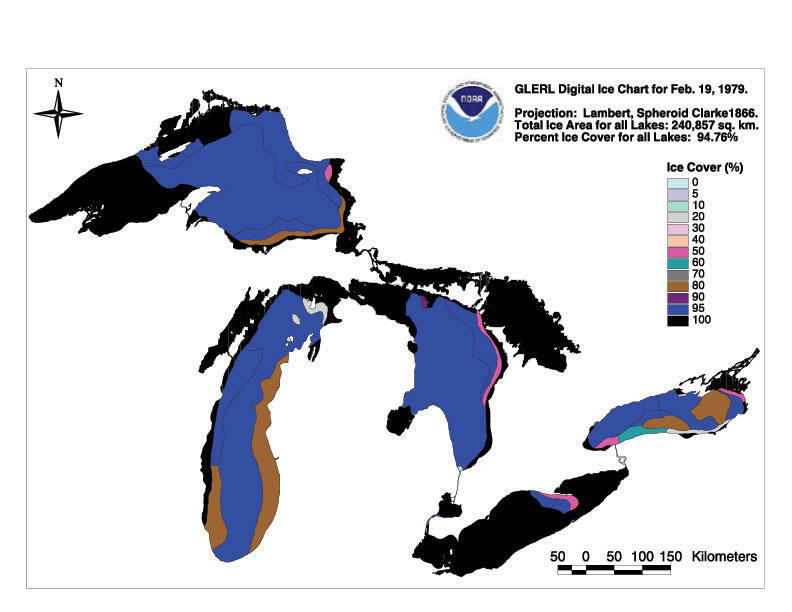 Most of Lake Michigan’s main basin is open water still and from the Leelanau Peninsula to Indiana ice stretches out from the shore into the lake three to five miles. Lakes Huron and Superior are about 70 percent covered with ice. Lake Erie is almost entirely frozen. 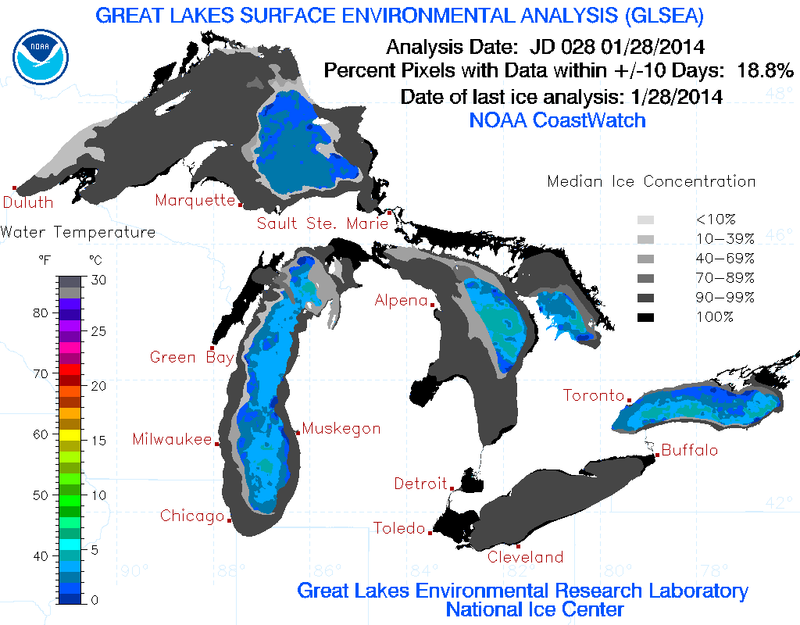 Erie freezes quickly because it is shallow. Lake Michigan is deeper than Huron and much of the surface of Lake Michigan's main basin is at more southern latitudes. 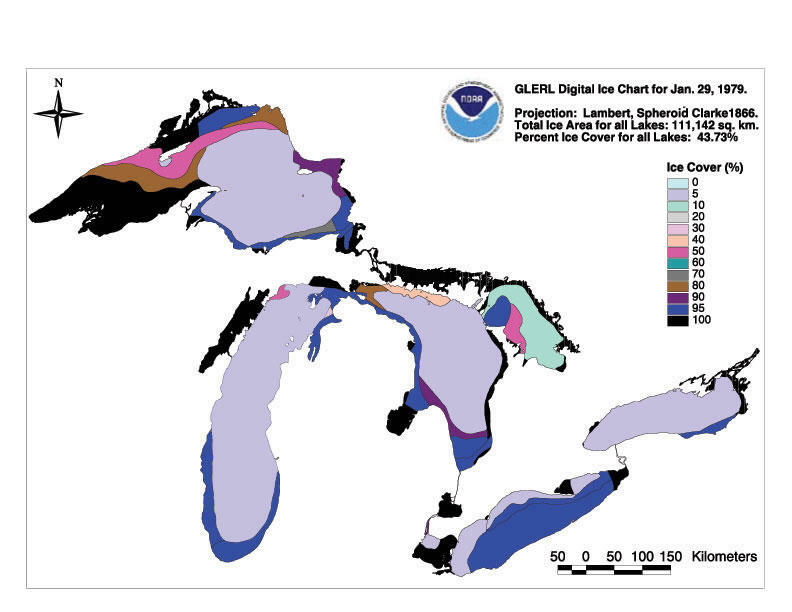 Huron’s ice cover includes Georgian Bay and the North Channel and these waters freeze early. George Leshkevich is a researcher at NOAA’s Great Lakes Environmental Research Laboratory. He says you have to go back about 25 years to find this amount of ice in the Great Lakes this early but he says it is not unusual.